Hot Deal! 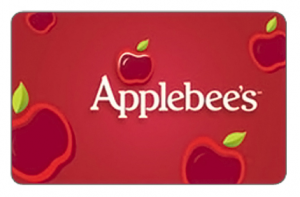 $50 Applebees Gift Card for Just $40! Here’s a super hot deal just in time for the holidays! Get a $50 Applebee’s Gift Card for ONLY $40 with Coupon* Code CAPPLEBEES20 – that’s a whopping 20% off! Hurry over to grab this deal since supplies are limited. Also, there is a maximum of three per purchase.